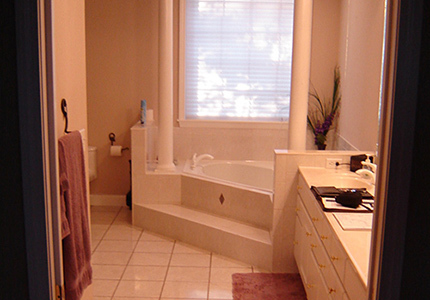 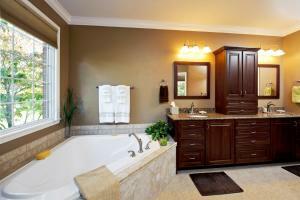 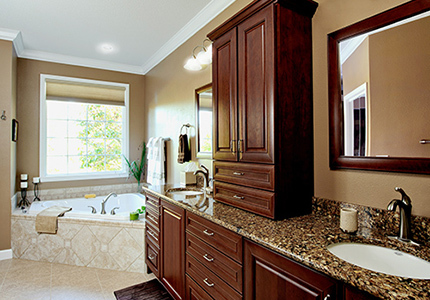 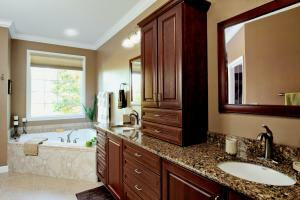 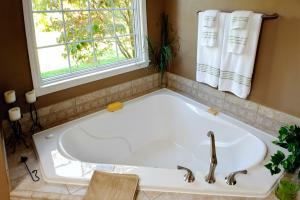 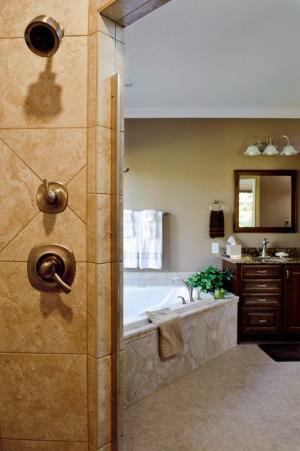 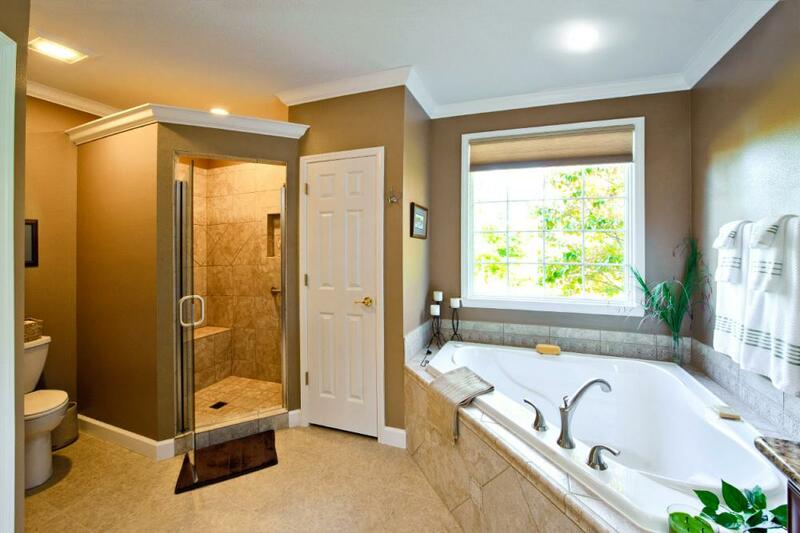 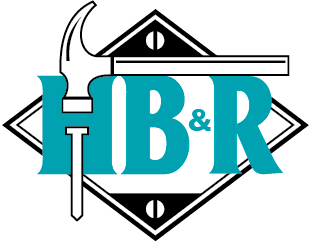 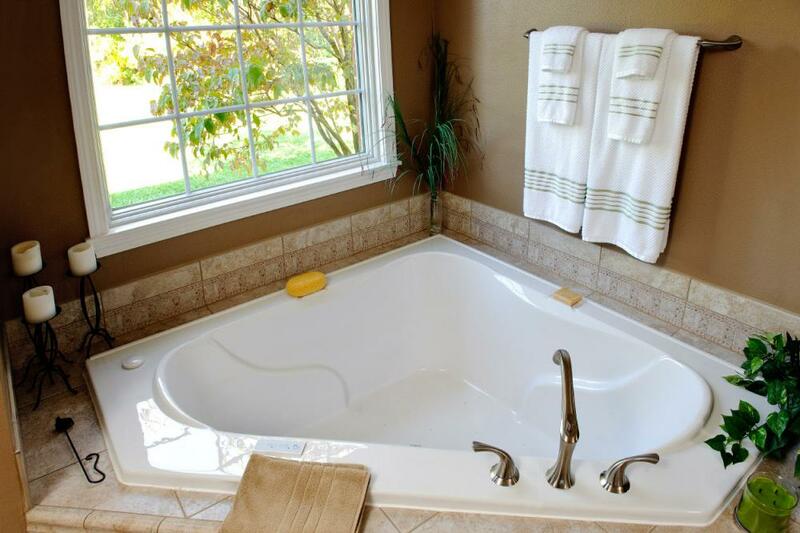 The decision to have Fulford Home Remodeling redesign their master bathroom was an easy one for the Schafer's, as they were past clients of the Fulford team. 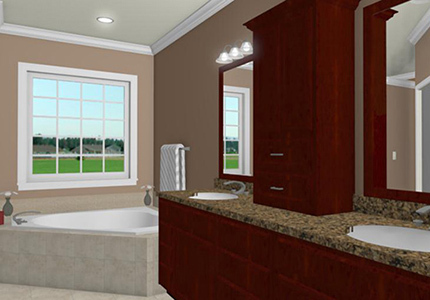 A total bathroom update was in their plans, which began with a new bathroom layout and 3D virtual drawings that showed them what the finished project would actually look like. 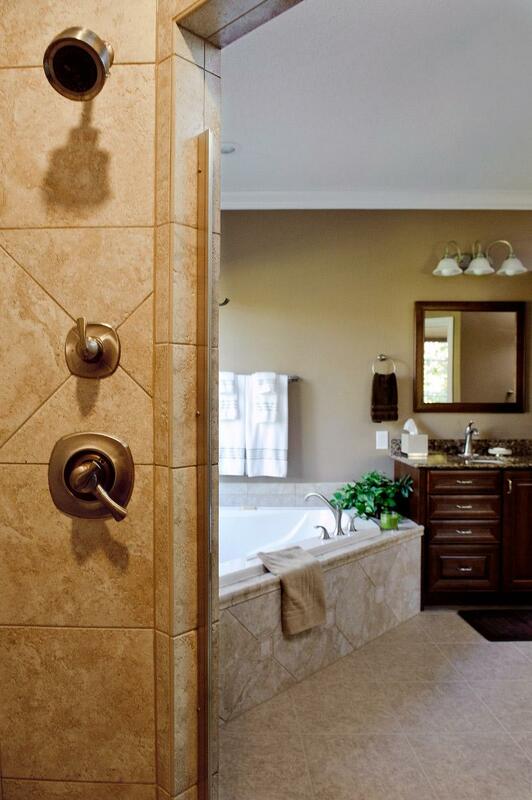 When the project began, the bathroom space was totally “gutted”, the linen closet and toilet were both relocated, and a new custom walk-in shower was created. Features in this luxurious bathroom were numerous, which included a drop-in corner air tub with ceramic tile deck, skirt and splash, a total ceramic tiled custom shower with bench seating and niches, “back-saver” height cherry vanity cabinetry with center tower and matching wood-framed mirrors, a Cambria vanity top with under-mount porcelain bowls and Delta faucets, a comfort-height toilet, Dura-Ceramic tile flooring, and crown moldings. 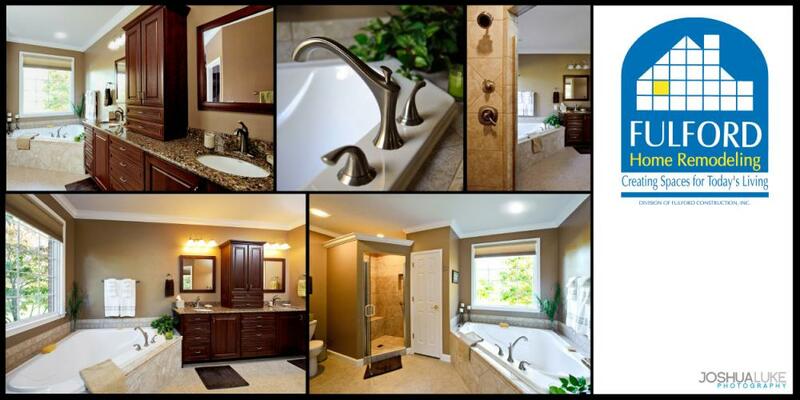 This stunning Master Suite renovation added both value and livability to the Schafer home in O'Fallon, IL, resulting in an extremely happy client.